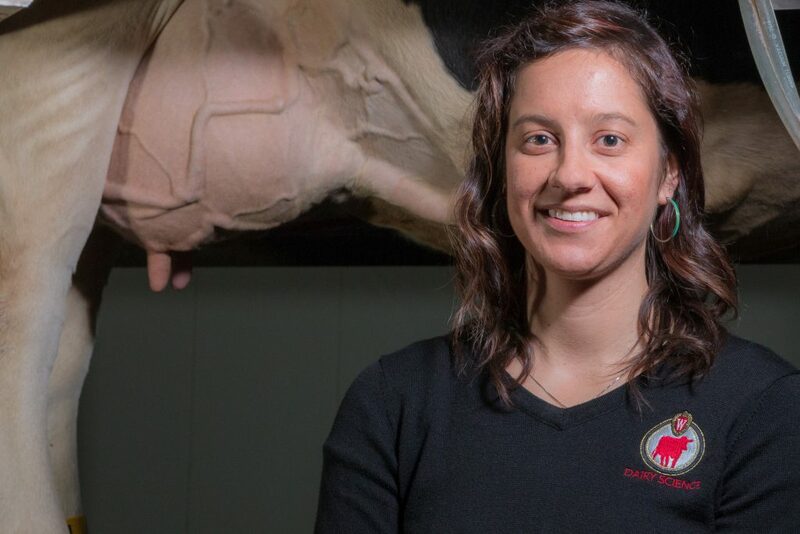 Watch the June 8 BioTrek Wednesday Nite @ the Lab featuring Laura Hernandez, assistant professor of dairy science speaking on “Udder Anatomy and Physiology.” Dr. Hernandez uses cow udders to demonstrate how and where milk comes from, and what is actually in it. She also discusses the evolutionary basis of milk and explores the differences between milk from mammals and milk from plant or nut-based products such as soy, almond, or coconut. Hernandez is a mammary gland physiologist, and her research focus is how serotonin controls milk synthesis and production while coordinating maternal metabolism. In addition to her research, she also teaches two undergraduate courses: Lactation Physiology (Dairy Science 305) and Animal Physiology (Animal Science/Dairy Science 373). Wednesday Nite @ the Lab is organized by the Wisconsin Alumni Association, Science Alliance @ UW-Madison and by BioTrek, the outreach program of the Biotechnology Center at UW-Madison/Extension.